Joel Meyers is a man who believes that nothing is impossible, and this attitude shines through in each and every one of his captivating performances. Combining sleight of hand with a larger than life personality and a crowd-winning charm, Joel specializes in taking audiences on what NBC has called nothing less than a roller coaster ride. 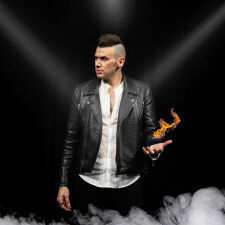 Joel Meyers is an illusionist and a comedian, a master of the stage, and a magician. He’s a performer who will capture your imagination (Newsweek), and he’ll win you over time and time again. Joel Meyers is simply a mystery; or, as Al Pacino put it best, he’s “the coolest person ever."